UP FOR SALE IS A NEW IN BOX GREENLIGHT CHEVROLET CORVETTE 1996 GRAND SPORT CONVERTIBLE THE CAR IS NEW THE BOX IS NEW A GREAT PIECE FOR ANY COLLECTION. Unique set and a great additions to your collection. Competitive Pricing and Unrivaled Selection We are the number one direct distributor of diecast model cars in the USA, so we are able to provide very competitive pricing. Detailed engine. 1:24 Scale. Boot Opens with Gun Case. Has manual working tow system. Competitive Pricing and Unrivaled Selection We are the number one direct distributor of diecast model cars in the USA, so we are able to provide very competitive pricing. ED, 1925 KENWORTH, 1926 MACK BULL DOG. The staunch support of the community makes the success of the Hilton Head Humane Association possible.JRW/gmg. HILTON HEAD HUMANE ASSOCIATION'S. We are also staffed by volunteers who are probably not expert in the item listed. MADE BY : JADA. Model : SHOWROOM FLOOR 1961 CHEVROLET IMPALA1/24. COLOR : WHITE. We will do our best to reply as soon as possible. 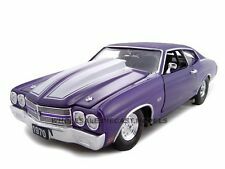 Jada 1:24 1969 Chevy Chevelle 427 Custom. White Metallic Bigtime Muscle Nice! 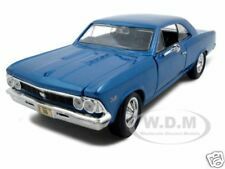 Here is a Used Jada 1:24 1969 Chevy Chevelle 427 Custom. 1:24 Scale Danbury Mint. 1930's Budweiser Christmas Truck w Box, Papers. The piece is mint, still sealed in the original box. The box is in nice shape does show light wear around edges but nothing major.See pictures for more details. 1 OF 4,999 CARS PRODUCED. 1:24 SCALE DIE CAST VEHICLE. FEATURES INCLUDE OPENING HOOD, DOORS AND TRUNK, HAND ASSEMBLED AND FINISHED WITH 110 MARKINGS, DETAILED ENGINE AND CHASSIS, FULLY DETAILED TRUNK WITH SEPERATE SPARE TIRE, DETAILED ENGINE WITH REALISTIC SPARK PLUG WIRES, COLLECTOR CASE INCLUDED. It is a Jada 1:24 1956 Chevy Belair Dub City car! Has a custom engine & interior! And custom wheels! BUY IT NOW ONLY! MOTORMAX 1967 CHEVROLET CORVETTE CONVERTIBLE DIE-CAST CAR. A LITTLE PLAY WEAR, PAINT WEAR, FRONT LICSENSE PLATE HAS STICKER TEAR & A LITTLE CHIP ON BOTTOM, SCUFFS ON WINDSHIELD. 1/24 SCALE. Opening Tail Gate. Opening Doors, Free Wheels. Up for sale is a Danbury Mint 1953 Chevrolet Good Humor ice cream truck. The truck is in excellent condition and the box is also in excellent condition.